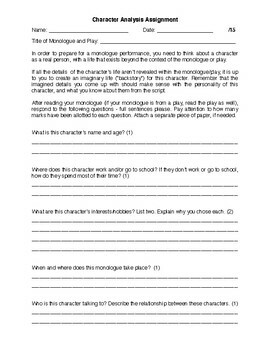 This character analysis helps students prepare for monologues by asking them questions about their character's backstory, intention, interests, and personality. Two pages. 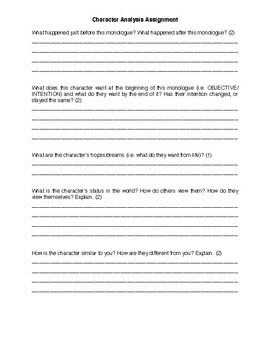 No answer key included due to the variety of characters/plays that students could be writing about.